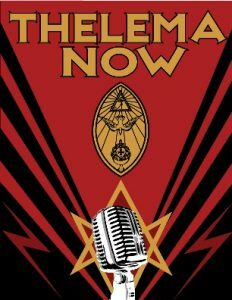 New Episode of Thelema, NOW! Featuring Carl Abrahamsson – Zero Equals Two! On the latest episode of Thelema, NOW! Frater Puck and Carl Abrahamsson GET LOUD, talking in-person at a lively coffee shop in NYC about newest issue of Abrahamsson’s journal Fenris Wolf. You can check out Carl’s works at: carlabrahamsson.com and trapart.net. Order Fenris Wolf at by clicking here! Also – listen until the end to hear the composition “UnconsciousSexuality” by Carl and his wife Vanessa Sinclair. Listen to the new episode here: http://oto-usa.org/main/podcast/.